Providing heating and AC repair in Shenandoah, TX and the surrounding areas since 1980, Integrity Comfort Solutions is the go-to company for quality heating and cooling services. Read our reviews for the Shenandoah, TX area and see for yourself why our heating and ac repair services are rated 5 stars across the board. Dylan preformed winter maintenance. Recommendations on drain and surge. 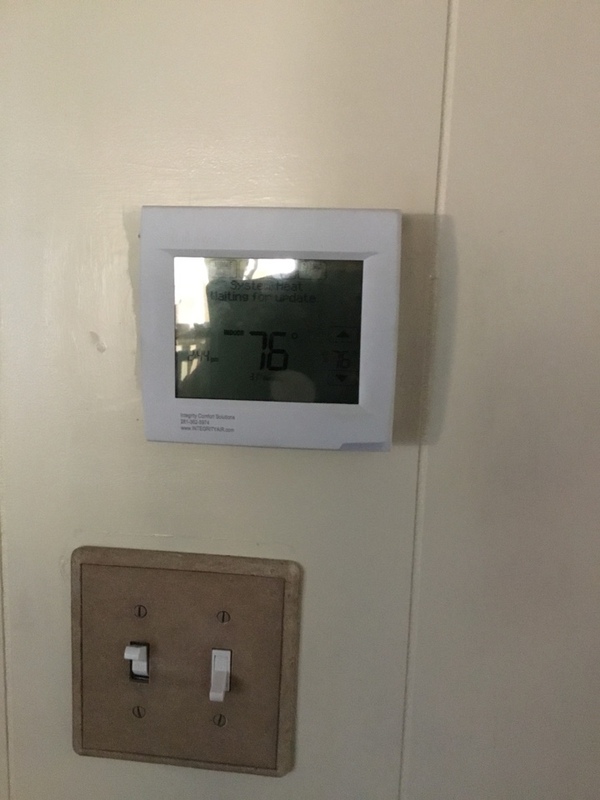 Worked on getting message of the Honeywell thermostat with tech support. Made sure system was operating properly at this time. Repairs to a furnace in Shenandoah Tx .